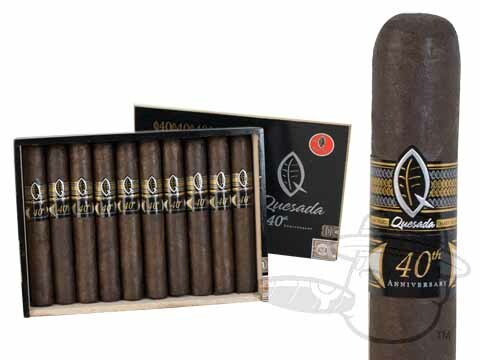 Commemorating Quesada cigars 40th year in business, the Quesada 40th Anniversary cigar combines a smooth Ecuadorian Connecticut wrapper leaf with spicy Dominican Criollo binder leaves and a rich filler blend of Dominican & Nicaragua tobaccos to bring you a complex smoke that shines with gorgeous, layered flavors. 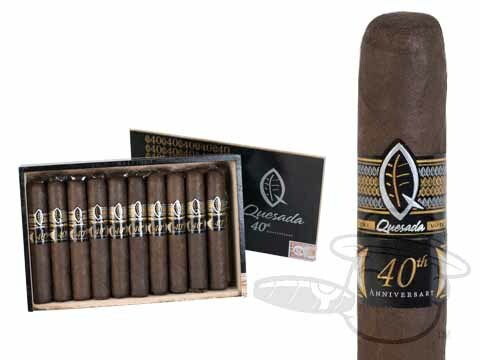 Earth, cocoa, sweet wood, roasted nuts, vanilla bean, and a splash of black pepper dance around your palate during the course of the Quesada 40th’s slow, clean burn. 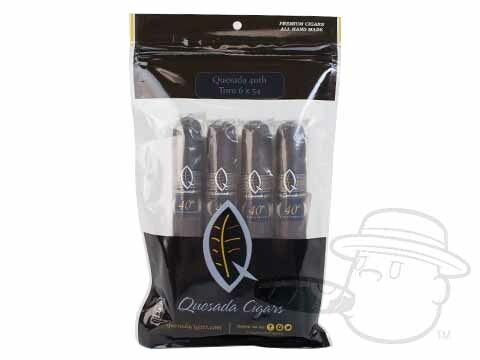 It’s a party cigar with class for those who pay attention to detail, and there’s lots of detail to be had. 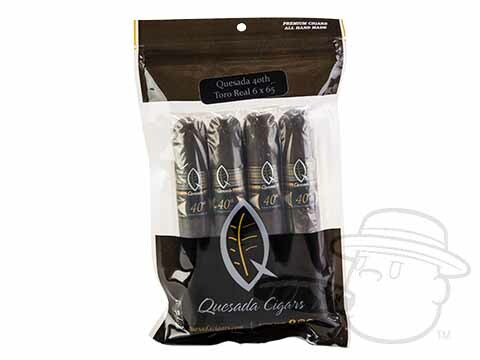 If you’re looking for a boring cigar, you’re on the wrong page - this one brings the heavy flavor action in delicious spades.